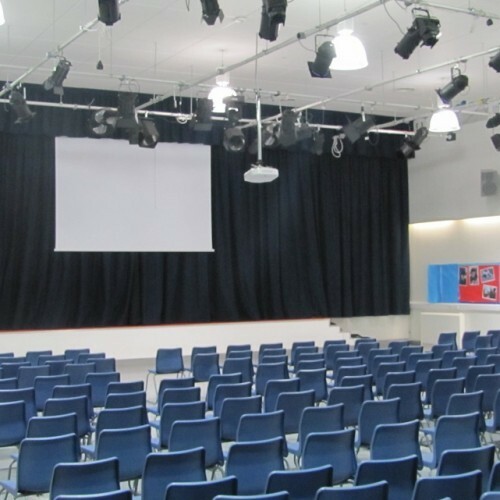 The main hall at Frederick Bremer School, E17, has wooden floors and a large permanent stage with curtain, providing an ideal space for conferences, presentations, shows and concerts. 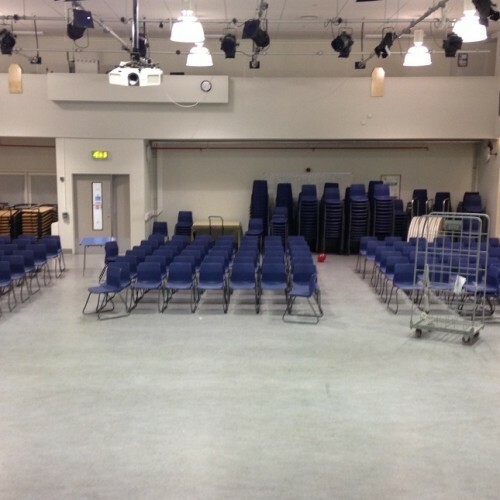 The hall can seat approx 200 people concert style or 100 people banquet style around 12 round tables (seating 8-10). 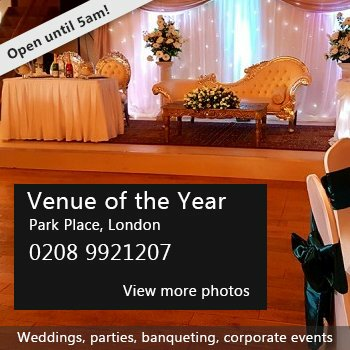 Our lovely bright atrium directly outside the main hall can be hired in addition to the main hall for extra table area and can seat another 65 people around 8 round tables banquet style. Kitchens are available upon request. 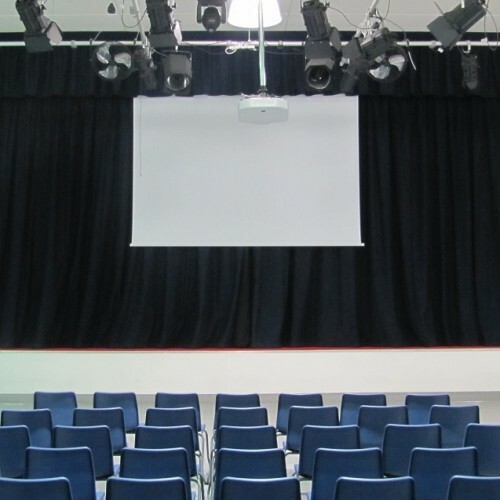 The hall also has a projector, lighting rig and sound system. There have been 1 review of Frederick Bremer School. 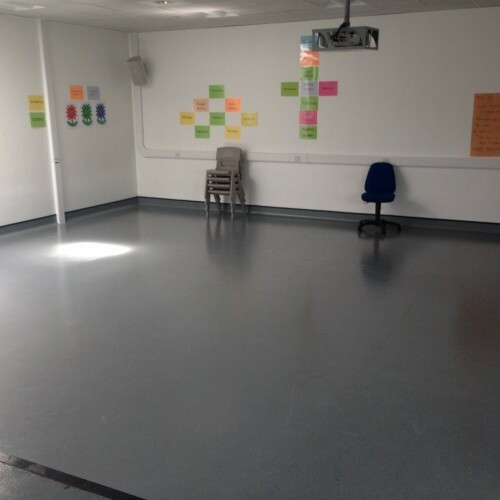 I went to visit the school to book the hall for a wedding and was very impressed. The photos don't show the beautiful "atrium" room - it's very high, glass walls on one side, curved white concrete on another, and painted pillars. - which opens out onto a tree lined outdoor area (great for the outdoor paella or barbecue). The whole school is in very good condition as it was only built a few years ago, and they clearly take care of it. 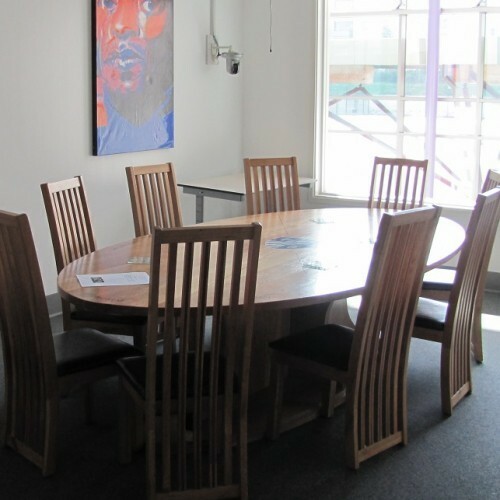 The staff were incredibly helpful, very much can do people. I was wondering about how to cover the school noticeboards, when I was given the contact of a local person who is used to decorating the spaces there with fabric so that they are festive. In the end we went for another venue that suited us slightly more; but I would have been very happy to be married there. If you would like to send Frederick Bremer School a booking enquiry, please fill in the form below and click 'send'. Perhaps some of the following halls within 5 miles of Frederick Bremer School would also be of interest?